Book marketing & promotion should be the single most important aspect of your author career. Having the greatest prose in the world won’t mean much unless people can see your work. One of the hardest and most time-consuming functions of book publishing is making your work known. It takes away time that you wont be able to spend writing. We can give you your life back by providing various book marketing & promotion services that will help get your work in front of the people that really count – your readers and fans! Why not try one of our hugely successful book blasts? 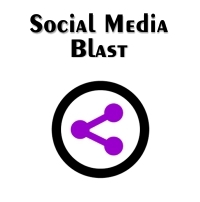 Our Newsletter and Social Media blasts reach tens of thousands of people and are a terrific way to get exposure for your book. Choose from one of the below options and watch your book soar to new heights. 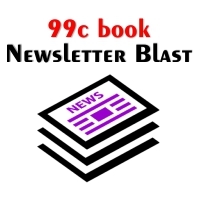 Newsletter blasts for 99c books for as low as $10 per blast! 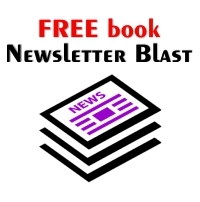 Newsletter blasts for FREE books for as low as $10 per blast! 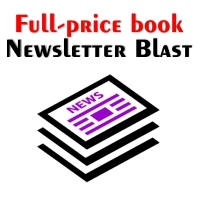 Newsletter blasts for full-price books for as low as $10 per blast! Newsletter blasts for full-price books for as low as $3 per blast! (*) Some prices are dependent on your specific requirements. Please use the Contact form or Email us directly to discuss pricing for those options.